In this course, we’ll look at three main areas where we feel overwhelmed; in our romantic relationships, which is an area where, after all, you might imagine that things would be easiest - but oh no! We’ll look at how we get overwhelmed as parents and how to feel connected with your child at any age and also how we get overwhelmed in our working life. Who knew you could get along with your boss and your co workers so easily and not get overwhelmed by deadlines and meetings? In this six week no diet course you'll find everything you need to change the way you eat and the way you think about eating forever. You can look forward to never dieting again, to enjoy the food you eat and to love looking in the mirror. We are going to work together so that you can see why, despite dieting, you have put on more weight, or have been unable to lose excess weight. Click here to get the course on Udemy and here to go to the Love Food and Lose Weight website. In these Four Simple Steps to Easy Weight Loss, you‘ll discover how to ditch the diet and let go of the diet mentality, how listening to your body instead of your head helps you to lose weight, how to make one change that will transform your daily diet and why preparing is such a vitally important step on your weight loss journey. We've all been Overwhelmed at times, haven't we? When we have so much to do that we don't know where to start. 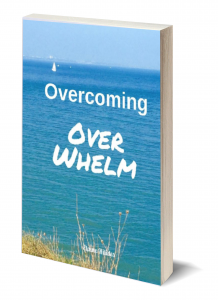 Well, this book will show you where the feeling of Overwhelm comes from and how easy it is to let go of this feeling. 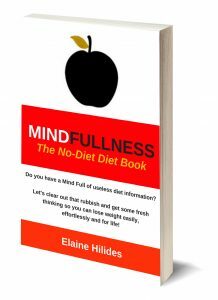 Do you have a MindFull of unhelpful information about diets, calories, points and low-fat food? Do you want to clear your mind and get back to natural healthy eating? In this book you’ll learn how to ditch the diet and get the slim, healthy, fit body that you want. 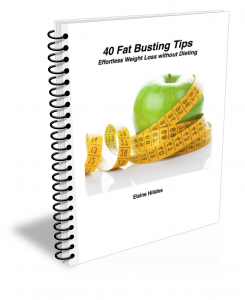 40 Fat Busting Tips that really will help you to shift the pounds. These tips are a mix of practical ideas, food advice and ways to help you see yourself, your habits and the food you eat differently. Do you think that you’re an addict? Do you call yourself an addict or do you believe you’re keeping your addiction a secret from others? 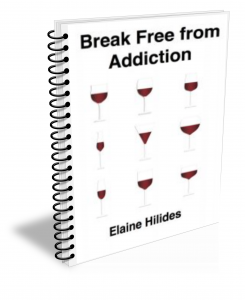 Break Free from Addiction is for you whether you just want to cut down on your drinking or smoking - or you have a class A addiction that has destroyed your life and is killing you.